Pearls and crystals are always a great combination, and these Silver earrings have a cupped floating pearl drop and crystals captured on an elegant 'C drop. Post finder pierce earrings with a 2.5cm drop. 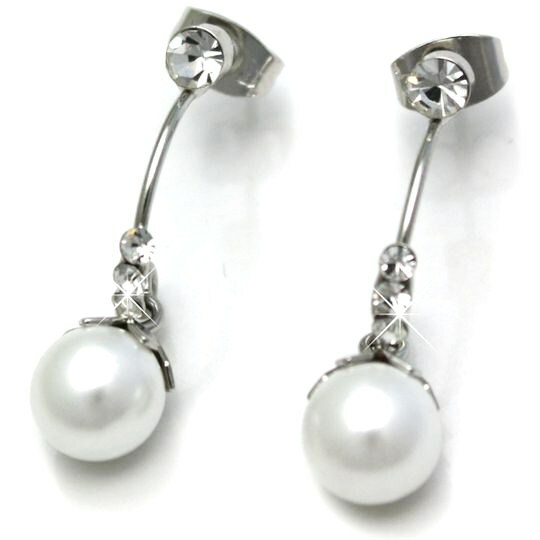 Quality Silver rhodium steel and faux white pearl beads. Quality Swarovski style crystal earrings. Ideal for weddings, nights out and even just popping out to the shops!